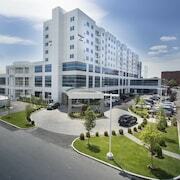 Located in West Bronx, this hotel is within 3 mi (5 km) of Yankee Stadium, Central Park, and New York Presbyterian Hospital. Columbia University and Bronx Zoo are also within 3 mi (5 km). 3 Av. 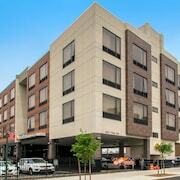 - 149 St. Station is only a 3-minute walk and Jackson Av. Station is 10 minutes. 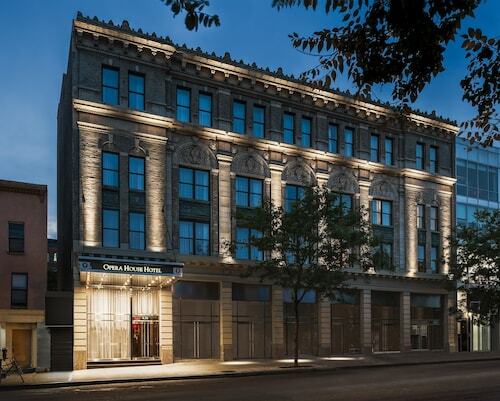 Located in West Bronx, this hotel is within 2 mi (3 km) of Central Park, Yankee Stadium, and The Bronx Museum of the Arts. Columbia University and Bronx Zoo are also within 6 mi (10 km). 3 Av. 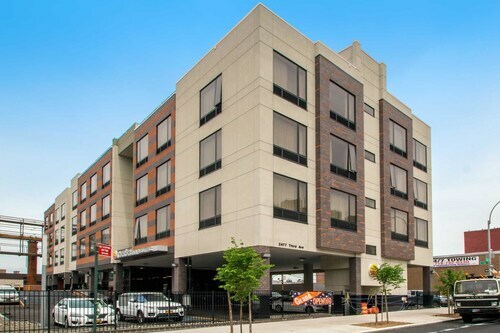 - 138 St. Station is only a 4-minute walk and 138 St. - Grand Concourse Station is 6 minutes. 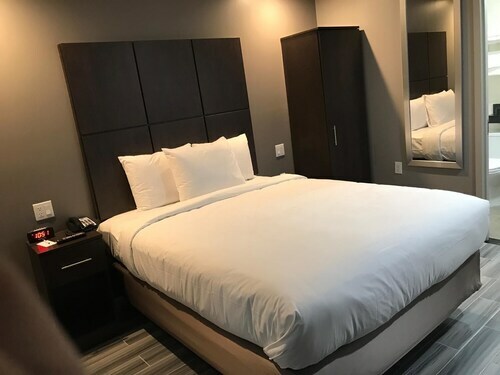 Located in West Bronx, this hotel is 0.5 mi (0.8 km) from Yankee Stadium and within 3 mi (5 km) of New York Presbyterian Hospital and Apollo Theater. Columbia University and Central Park are also within 3 mi (5 km). Bronx Yankees East 153 St. Station is 9 minutes by foot and 155 St. Station (Frederick Douglas Blvd.) is 14 minutes. Located in West Bronx, this hotel is 4 mi (6.5 km) from Floating Pool and within 12 mi (20 km) of Central Park and Broadway. Rockefeller Center and Times Square are also within 12 mi (20 km). Bronx Tremont Station is 5 minutes by foot and Tremont Av. Station is 11 minutes. 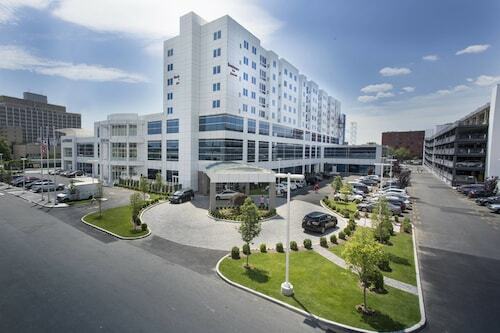 Located in West Bronx, this hotel is within 3 mi (5 km) of Bronx Zoo, New York Botanical Gardens, and Fordham University. Yankee Stadium is 3 mi (4.8 km) away. West Farms Sq. - E Tremont Av. Station is only a 3-minute walk and 174 St. Station is 9 minutes. 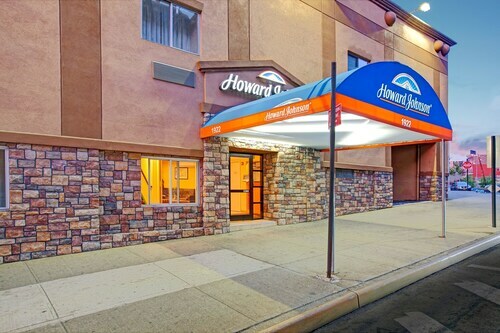 This motel is located in Bronx (West Bronx), close to Bronx Zoo, New York Presbyterian Hospital, and Yankee Stadium. Local attractions also include Fordham University and New York Botanical Gardens. How Much is a Hotel Room in Bronx? 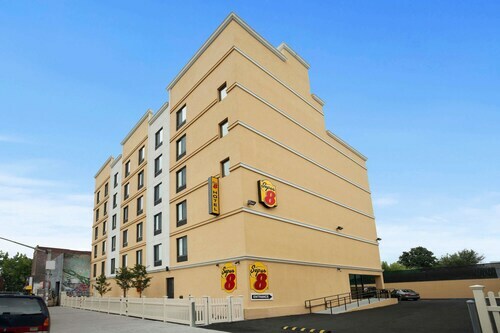 Hotels in Bronx start at $110 per night. Prices and availability subject to change. Additional terms may apply. 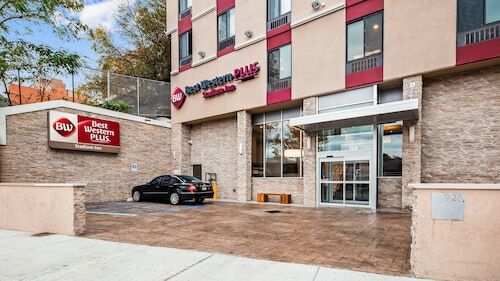 On your next trip New York City, instead of staying in the chaos of expensive Manhattan, head to the convenient hotels in the Bronx. The Bronx is a borough just five miles north of downtown New York, easily accessible via public transportation or cab. 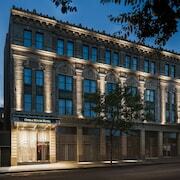 Hotels in New York have nothing on Bronx hotels, which will add a splash of culture to your vacation. The Bronx is home to a variety of neighborhoods just as cultured and colorful as Manhattan—if not more so. Rent a car in the Bronx to explore the borough. Head to Riverdale for a breath of fresh air in one of the neighborhood's many parks. Grab brunch at one of the trendy restaurants in the South Bronx, just across the Harlem River. Catch a game at Yankee Stadium, visit the monkeys at the famous Bronx Zoo, and soak up the beauty of the New York Botanical Garden. You'll never run out of things to do in the Bronx. When you're tired from exploring, hit the hay at one of the hotels or rooms for rent in the Bronx. Plus, the borough is easy to reach from JFK. Follow the signs for "ground transportation" at the airport and hail a cab or rent a car. It's just a 15-mile drive up I-678 North to the Bronx. You can also take the E subway line into the city and transfer to the 6 line, which will take you right up to the Bronx. Depending on the exact location of your hotel, there are also express 6 trains that can take you north even faster. Want to save even more? 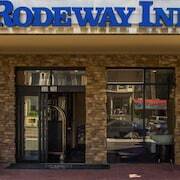 Save up to $537 when you book a hotel and flight at the same time using Travelocity. Use that extra cash to add to your fun budget when you visit the city that never sleeps. Hidden 2 Bedrm Gem in Sobro! Minutes to Nyc!